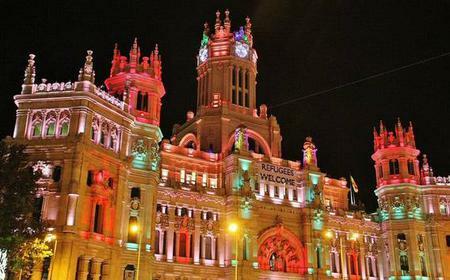 ...e dazzled by lights and holiday decorations in locations like the Plaza de Colón, Plaza de Cibeles and Puerta de Alcalá. 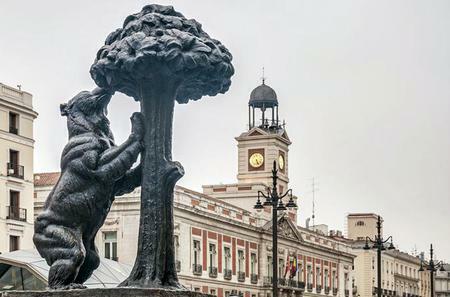 A massive roundabout at the intersection of Calle de Alcala and Paseo del Prado, this plaza houses one of Madrid's emblems, the Fountain of Cibeles, which portrays the Roman goddess of fertility sitting upon a chariot pulled by two lions. 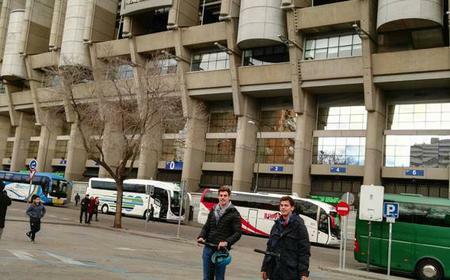 A massive roundabout at the intersection of Calle de Alcala and Paseo del Prado, this plaza houses one of Madrid's emblems, the Fountain of Cibeles, which portrays the Roman goddess of fertility sitting upon a chariot pulled by two lions. On the southeast corner dominating the Plaza is one of the world's most beautiful city halls, the Palacio de Cibeles (formerly the Palacio de las Comunicaciones), an impressive structure with a jaw-droppingly spectacular façade. Inside, the building holds a cultural center with changing art exhibits and info on Madrid, and you can climb to the upper floors for some excellent views out the window. 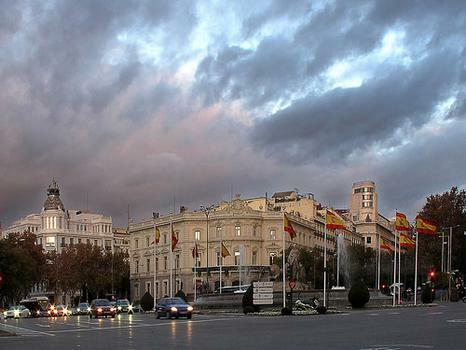 On the southwest corner of the square sits the imposing Bank of Spain (Banco de España) building, while the northeast corner is home to the Palacio de Linares, which holds the Casa de America , a cultural center with an art gallery of Latin American works.